In the middle is a diaroma made with a real Ostrich egg with fairy figurines. More photos below. Pinocchio’s stand is a little too big for him. All dolls have poseable limbs and beautiful “sleep eyes” which means you can lay the dolls down and they close their eyes. Sweet ! The Blue Fairy should have a wand but I searched for it in her box and couldn’t find one, unfortunately. 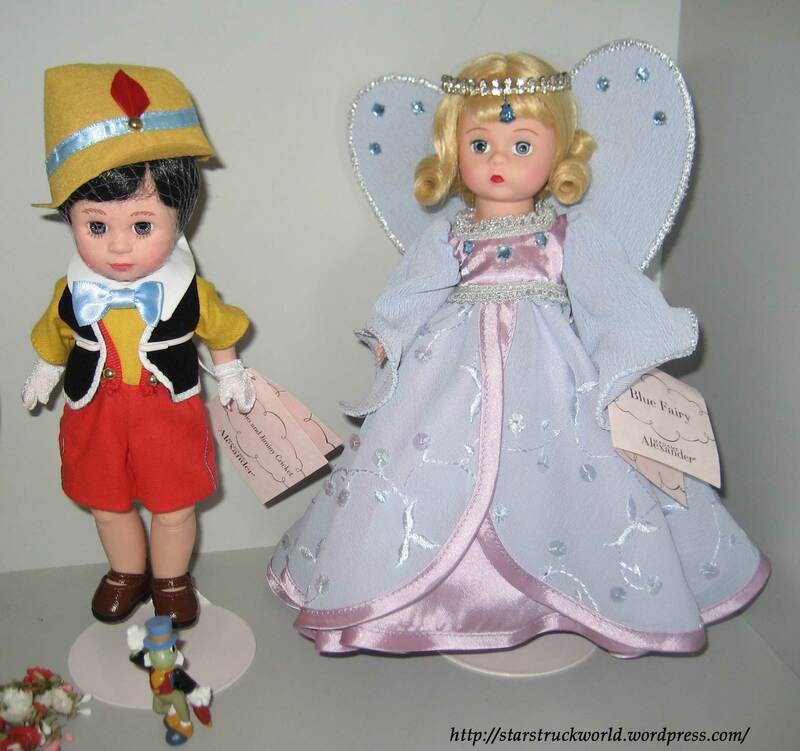 I bought her and Pinocchio from Ruby Lane online but only realised a while after receiving them, that she should have a wand. 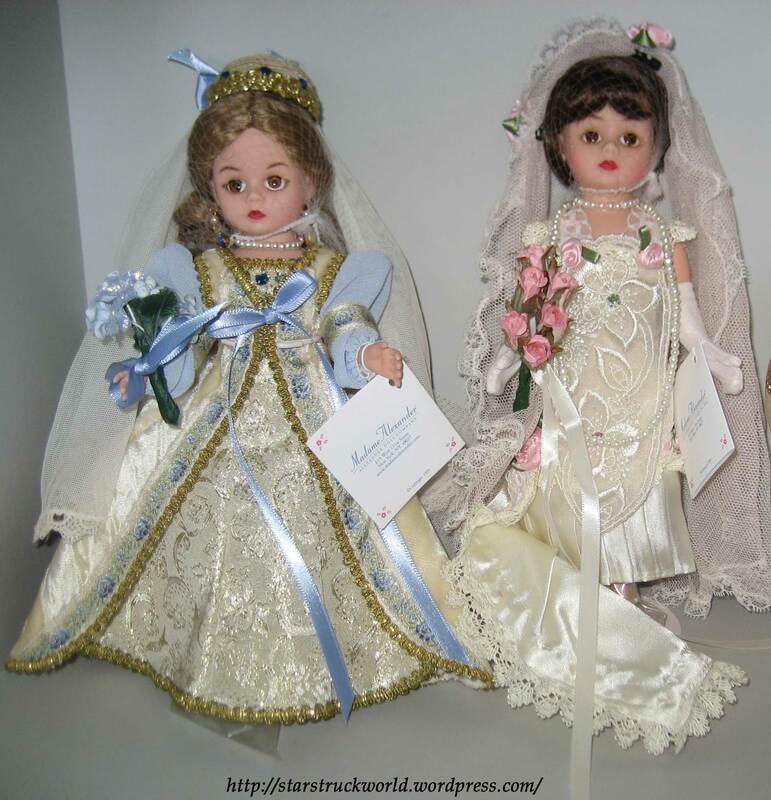 I got the bride dolls from eBay. The Roaring 20s doll is a 10 inch doll and apparently very collectible. 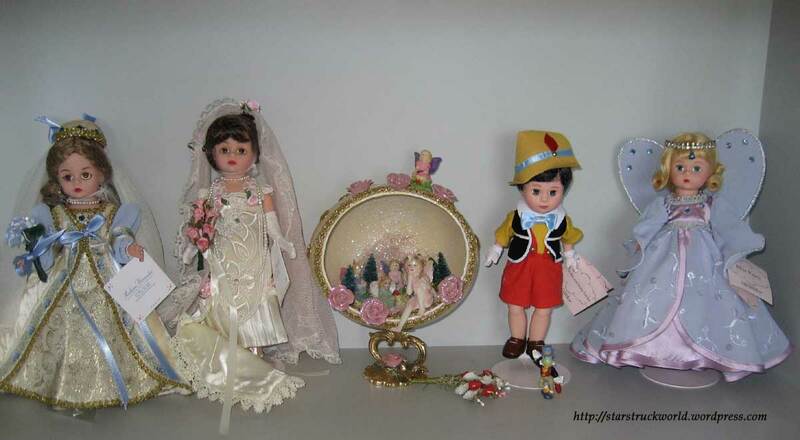 Categories: Dolls, Figurines & Sculptures | Tags: dolls, figurines, madame alexander, renaissane bride doll, roaring 20s bride doll, sculptures | Permalink.